this version have an huge issue on oredictionary sorting. 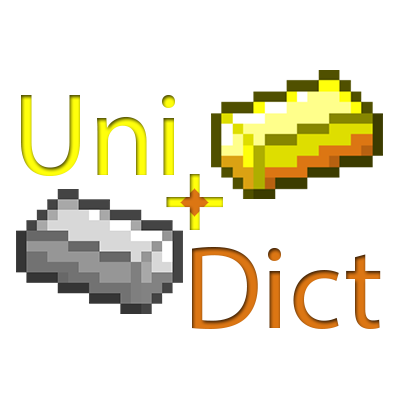 After so long, I present you all, UniDict-1.10.2-2.5! improved: crafting integration will no longer crash if it can't create a recipe. it will restore the original recipe. changed: now UniDict have it own folder again. this change was made in order to keep the new files within the same folder. changed: now SpecificKindSort is made throght a json file. you can use it to speficiy the sorting of every single entry. instead of registering the new recipe's ingredients as oredictionary, it will use itemstacks only. it will prevent the cycling throught inputs of JEI. new: more 2 debug options. now you can dump all the unified entries, and all the entries from UniDict api. disabled: temporally disabled Applied Energistics Integration due to internal changes on AE2. new: Advanced Solar Panels Integration (Molecular Transformer(output only), disabled by default.). that's it, the last release of UniDict of 2016, I wish you all an happy new year!